Below is a chart with eight of the “Must eat” fruits. Take a look at the benefits shown here, but in reality there are truly many more health advantages to eating raw, healthy fruits and vegetables that are bursting with life. For example, a study from Harvard University found that eating blueberries helps to prevent diabetes. Another thing scientists have found is that fresh fruits and vegetables reduce inflammation and stress in the body and can add years to one’s life. Many of the scientific studies on cherries are done with tart cherries or Montmorency cherries — usually sold as juice, dried, frozen, and in powdered supplement capsules. For those seeking a food-based remedy for sleeplessness and insomnia, the tart Montmorency cherry is known to contain high levels of melatonin, the hormone made in the brain that regulates the sleep-wake cycle. The European Journal of Nutrition presented a placebo-controlled study that proved drinking tart cherry juice increases melatonin and improves sleep quality. Drinking the juice resulted in longer sleep times, less daytime napping and greater overall sleep efficiency (the ratio of the time spent in bed to the time actually spent sleeping). Another recent study on the use of melatonin-rich foods for sleep appeared in the journal “Nutrients”. The study was called “Dietary Sources of Melatonin.” Many nuts are known as “drupe fruits”. These are fruits with pits or stones inside. The researchers for the study in “Nutrients” noted that nuts contain some of the highest quantities of melatonin. Topping the list are almonds and walnuts. Almonds deliver a two-part punch as they are also high in magnesium, a mineral known to induce sleep. Bananas are high in both magnesium and potassium, and each of these minerals are proven to help good sleep in research studies. The Journal “Sleep” recently reported that the use of potassium for sleep results in significant improvements in quality of sleep and less waking up during the night. Warm milk is perhaps the most famous natural sleep aid. James F. Balch, M.D., author of Prescription for Nutritional Healing, writes that: “A lack of the nutrients calcium and magnesium will cause you to wake up after a few hours and not be able to return to sleep.” The European Neurology Journal supports this with their study showing that the normal course of sleep is achieved by increasing calcium levels in the body. One natural insomnia remedy showing good results is Sleep Minerals II from Nutrition Breakthroughs. This natural sleep aid contains powerful forms of calcium and magnesium, the best known minerals for relaxation and sleep, as well as for restless leg syndrome, stomach health, teenage insomnia and menopause insomnia. The ingredients are formulated in a softgel with healthy oils, making them more quickly absorbed than tablets or capsules and providing a deeper, longer-lasting sleep. Sleep inducing fruits and minerals are a healthy alternative to taking sleeping drugs, and fruits and vegetables in general are among the healthiest foods in existence. For more information on natural minerals for sleep, visit the Sleep Minerals II page. There is a great handy chart below that contains some of the top natural remedies. These are well-known healthy counterparts for many common medications. Add these powerhouse foods to your diet for any of the conditions shown. One example of a natural health remedy is curcumin, the potent base nutrient of the spice turmeric. Research from the journal “Foods” has shown that curcumin can help in the management of inflammatory conditions, metabolic symptoms, arthritis, anxiety, muscle soreness and high blood pressure. Raw tomatoes may be one of the best remedies for high cholesterol. One study from Mexico found that fourteen servings of raw tomato per week for one month, resulted in a favorable effect on cholesterol levels in overweight women. This news is provided to you by Nutrition Breakthroughs, maker of the effective natural insomnia remedy with calcium and magnesium Sleep Minerals II, and Joints and More, the natural solution for joint relief, aches and pains, stronger hair and nails and more energy. Enjoy the chart below and put it to good use. Brought to you by Nutrition Breakthroughs. Ahhh Chooooooo! Twenty percent of Americans suffer from chronic allergies or hay fever and would like to benefit from natural remedies for the sneezing, runny nose, teary eyes and scratchy throat. Allergies are the result of the immune system’s overreaction to a normally harmless substance, such as pollen, molds, animal hair or indoor dust mites. Specifically, an allergy occurs when the immune system develops a sensitivity and attacks what it considers to be an invader. When the substance enters the body, the body produces many antibodies in the blood to attack it. The antibodies then bind to a certain kind of white blood cell and this binding causes the release of histamine, a chemical in the body which causes the uncomfortable, yet familiar allergy symptoms. Remedies that have been proven useful for allergies include Nettle Leaf, Vitamin C, Quercetin, and air ionizers. Quercetin belongs to a class of water-soluble plant coloring agents called bioflavonoids. Bioflavonoids are found in many fruits and they aid in the absorption and metabolism of ascorbic acid (Vitamin C). Quercetin is often recommended as a treatment for allergies and asthma. Several test tube studies have found it beneficial in stopping the release of allergenic substances and histamine in the body (Journal of Allergy and Clinical Immunology). A study of the herb nettle leaf was published in the journal “Planta Medica”. In this study, 58% of the people experienced less symptoms of hay fever, including sneezing and itchy eyes, after taking doses of nettles for one week. Nettle leaf is high in vitamin C and trace minerals and is a rich source of chlorophyll. Some people with allergies have experienced improvement in their symptoms after taking 1–2 grams of vitamin C per day (1,000 to 2,000 milligrams). A buffered form of vitamin C such as calcium ascorbate may work better for allergy or asthma sufferers than regular vitamin C (per a study in American Journal of Digestive Diseases). One group of researchers proved that vitamin C reduces the tendency of the lung’s bronchial passages to go into spasm (Annals of Allergy), and another study in China showed that people with more vitamin C in their diet had greater lung volume — meaning they could exhale more air than those eating less of the vitamin. Negative ion therapy can be a wonderful relief to allergy sufferers. The air we breathe contains molecules with electrical charges, both positive and negative. These minute electrified particles called ions, affect the environment in which we live and breathe. Researchers have shown that most of us who live, work and travel in closed spaces suffer some degree of negative ion starvation or the effects of too many positive ions. Some allergy-provoking substances, such as dust and pollen, have a positive electrical charge. Negative ions appear to counteract the allergenic actions of these positively charged ions on respiratory tissues and people have experienced considerable relief from respiratory allergies (from the Book: The Ion Effect). A plug-in negative ion generator can work wonders in enclosed spaces. Allergy symptoms can be greatly reduced with the right combination of herbs, vitamins, healthy food, and healthy air. This health news is provided by http://NutritionBreakthroughs. Since 2001 Nutrition Breakthroughs has been providing natural health articles and effective natural remedies. Their mission is to provide nutritional supplements that get results and therefore help people to avoid drugs and their side effects. Since 2009, their natural sleep remedy Sleep Minerals II has been keeping that promise – with highly absorbable calcium, magnesium, vitamin D and zinc. It soothes even the worst insomnia and helps everyone from teenagers, to menopausal women, to seniors to get a good night’s sleep. To learn more about Sleep Minerals II, click here. Cilantro and coriander are the names used in the United States to describe two different parts of the same plant, Coriandrum sativum. It’s an annual herb, which means it blooms and must be replanted yearly. Cilantro is used to describe the green, citrus-flavored leaves. Coriander is the common name for the plant’s light brown seeds, which are dried and used as a cooking spice. Exactly what you call, or how you use, this amazing plant varies depending on where you live in the world, but its health benefits remain the same. Cilantro can help cleanse the body of toxic metals, it’s an incredible source of antioxidants, it’s loaded with vitamins and minerals, and it has a long history of culinary and therapeutic use. A great source of vitamins and minerals, cilantro should be considered a superfood, or at least a “superherb.” A small amount delivers the full daily value of vitamin A and K and is rich in vitamin C, potassium, and manganese. Cilantro is a great, low-calorie option for those who want to add more nutrients and flavor to their diet. Below is the full nutritional breakdown for 3.5 oz. of raw cilantro leaves. 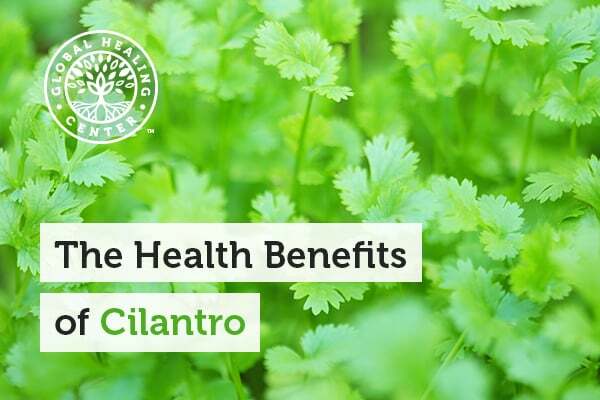 Beyond its nutritional benefits, cilantro is a powerful, cleansing agent that specifically targets toxic metals. We are constantly exposed to toxic metals like aluminum, arsenic, and cadmium. Toxic metals tend to accumulate in the endocrine system, muscle tissue, and even deep within the bones. Once these metals reach dangerous levels, many serious health problems occur. Common side effects of toxic metal exposure include hormone imbalance, oxidative stress from free radicals, and, in extreme cases, impaired organ function. Don’t wait to experience harsh side effects before cleansing your body. Mercury, for example, can have a devastating effect on your health. Many people who suffer from mercury exposure report feeling more clear headed after consuming large amounts of cilantro over an extended period. Exposure to lead is also far more common than many people realize and has many adverse effects on the body. In animal studies, cilantro has been observed to protect against lead-induced oxidative stress. Cilantro helps cleanse the body of toxic metals by supporting the body’s natural detoxification processes (the research references are below). Compounds in cilantro leaf bind to toxic metals and loosen them from affected tissue. This process allows metals to be released from the body naturally. You can access these benefits by consuming the raw leaves or ingesting concentrated extracts. Unfortunately, fresh cilantro goes bad very quickly. If you want to be sure to always have access to its detoxification power, supplements may be a good alternative. Supplements are an excellent choice when fresh cilantro isn’t available or if you find its taste unpalatable. 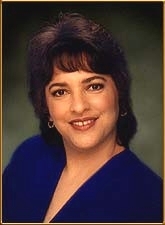 I recommend Global Healing Center’s own Zeotrex™. Zeotrex is a blend of powerful herbs, including cilantro, which help promote overall health by encouraging detoxification of harmful chemicals and toxic metals. On that note, it’s a good time to mention that not everyone appreciates the distinctive flavor of cilantro. One explanation for the difference in flavor perception is the absence of a particular gene called OR6A2. The lack of this gene seems to be common in those who report a foul taste. Cilantro has strong antioxidant activity. Cilantro may help prevent cardiovascular damage. Cilantro has been shown to promote calm feelings. Some studies report that cilantro encourages normal blood sugar levels. Cilantro may help improve sleep quality. Coriander seed oil possesses antioxidant properties that may reduce oxidative stress. Research conducted by The Dental School of Piracicaba in Brazil reported that cilantro oil has potential against an oral form of the candida fungus. Cilantro has demonstrated neutralizing activity against several types of harmful organisms. Cilantro may help support neurological health by discouraging oxidative stress. Coriander seed encourages normal fluid balance and urine flow. Vitamin K supports healthy bones, and eating even a small amount of cilantro provides the recommended daily serving of vitamin K.
Cilantro contains nutrients, including vitamin A, which support eye health. Cilantro leaves and coriander seed are used to produce essential oils that act as natural food preservatives. James A. Duke, Ph.D., a former botanist for the U.S. Department of Agriculture and author of “The CRC Handbook of Medicinal Herbs,” has praised cilantro for the way it supports the digestive system. He recommends drinking tea made from the leaves for any form of stomach discomfort. Additionally, cilantro may encourage normal bowel movements. Cilantro is easy to grow, and it’s convenient to have fresh cilantro ready to use. Cilantro grows quickly and does not always transfer well, so plan on growing your cilantro from seed. Cilantro leaves stop growing and become bitter after the plant flowers. That is why it’s best to plant your cilantro in spring and fall, avoiding the longer, hotter summer days in-between. Plant cilantro seeds in well-drained, well-fertilized soil. Choose a spot that gets full sun. Sow several seeds together one-quarter inch into the soil and six to eight inches apart. Water after planting and when the soil is dry to the touch. Expect to wait three to four weeks before harvesting the cilantro leaves. Leaves can be harvested anytime during the growing process, but you should wait until the plant is at least six inches in height. If you want to harvest the leaves continually, sow new seeds every two to three weeks. Unlike other herbs, cilantro leaves lose most of their flavor when dried, so it’s better to use them fresh. If you need to preserve them, freezing is the best option. The seeds of the cilantro plant—coriander—require a different approach. The seeds can be used for planting or can be dried and used in a culinary capacity. Wait to harvest the seeds until most have turned brown on the plant. Cut off the stalk a few inches below the seeds. Tie the stalks in bunches and hang them upside down in a brown paper bag. After about five days, the dried seeds should fall from the stalks into the bottom of the bag. You can store the seeds in an airtight, glass container for up to a year. To release the flavors, dry-roast or grind before use. Cilantro has been used in a variety of ways throughout recorded history. Ancient Greeks used cilantro essential oil as a component of perfume. During medieval times, the Romans used cilantro to mask the smell of rotten meat. Cilantro was also one of the first herbs to come to North America from the British colonies back in 1670. Today, cilantro leaves and coriander seeds are used in many types of cuisine. United States Department of Agriculture. “National Nutrient Database for Standard Reference Release”Web. 10 Jan. 2017. The very good news is that a tasty food oil has been shown to help protect the bones as people age. A recent study from the International Journal of Environmental Research and Public Health has discovered that olives, olive oil and their potent plant nutrients called “polyphenols”, have a high potential for strengthening bones and preventing osteoporosis. Studies with animals and humans show evidence that the bone protective effects of olives and oil are caused by three different abilities. These foods can inhibit the breakdown of bone and its minerals; they have a positive effect on new bone formation; and the unique underlying action behind this is the power of olives to suppress inflammation and stress in the body. Cellular studies have demonstrated that the plant nutrients in olives enhance the growth of cells that form new bone and decrease the growth of bone cells that break down bone tissue. Human studies revealed that daily consumption of olive oil could prevent a decline in bone mineral density. The research scientists concluded that eating olives, olive oil and their specific plant nutrients, are effective dietary improvements to keep bones strong and prevent osteoporosis. Other studies have found that olive oil can protect against high blood pressure, heart disease, stroke, Alzheimer’s disease and diabetes. Some good ways to eat olive oil is to use it in salad dressings and on vegetables, rub it on meat and fish before cooking to keep it moist, use it instead of butter in sauces and gravies, spread it on fresh bread, and saute or cook food with it. This natural health news is provided by Nutrition Breakthroughs, a publisher of nutrition articles and supplier of natural remedies since 2002. Nutrition Breakthroughs makes Sleep Minerals II, the effective natural sleep aid with calcium, magnesium, zinc and vitamin D. The company also makes Joints and More, the natural solution for joint relief, aches and pains, stronger hair and nails and more energy. While your office may not be your sanctuary, a few simple changes can positively affect the way you feel and work. For starters, you can add a little life to your workspace with plants. Office plants not only make a space more aesthetically pleasing, but can also reduce stress, deter illness, remove air pollutants, and improve concentration, memory, and productivity. Thankfully, not all plants require a lot of maintenance. Some plants can also help create natural separation between desks, lounge areas, and meeting spaces. From snake and spider plants, to philodendrons and palms, we’ve got the low down on the best plants for your office. Can Avocados Balance Hormones in Women and Men? Avocados are a healthy, creamy, tasty food, whether they sit on top of a sandwich, an omelet or a salad — or become transformed into guacamole. Avocados balance hormones, contain beneficial fats, and feature over twenty vitamins and minerals. They are a uniquely high source of plant sterols, which is the part of the plant that corresponds to cholesterol in people. Eating plant sterols has been proven to lower cholesterol and increase heart health in several research studies from sources like the American Journal of Clinical Nutrition. Another key benefit of avocados is their ability to block estrogen absorption in the body. They contain key plant sterols that can reduce excess estrogen. This allows increased progesterone to be present in women and testosterone in men. Some of the causes of excess estrogen include exposure to toxins and pollutants in the environment, chemical estrogens in plastics, hormones from food, and toxic cleaning products. Eating some avocado regularly can take the edge off the toxic load and provide better hormonal balance. Increased estrogen levels can lead to weight gain, tiredness, headaches and a lower sexual interest. Regarding excess weight, one study in the “Nutrition Journal” showed that adding half an avocado to the lunch time meal resulted in a feeling of satisfaction and a 40% reduction in the desire to eat during the 3 hours after lunch. Adding some avocado to meals is a great way to help balance hormones — half an avocado is a good amount. Avocado oil is another concentrated form of plant sterols that can be used for cooking in any high heat application like stir-fry, bar-b-q or roasting. It also makes a great base for salad dressings and sauces. An avocado in any form is a great food for overall health and particularly good hormonal health. This natural health news is brought to you by Nutrition Breakthroughs, a provider of health articles and effective natural remedies since 2001. Nutrition Breakthroughs makes the original calcium and magnesium based natural sleep aid Sleep Minerals II, as well as Joints and More, the natural solution for joint relief, aches and pains, stronger hair and nails, and more energy.